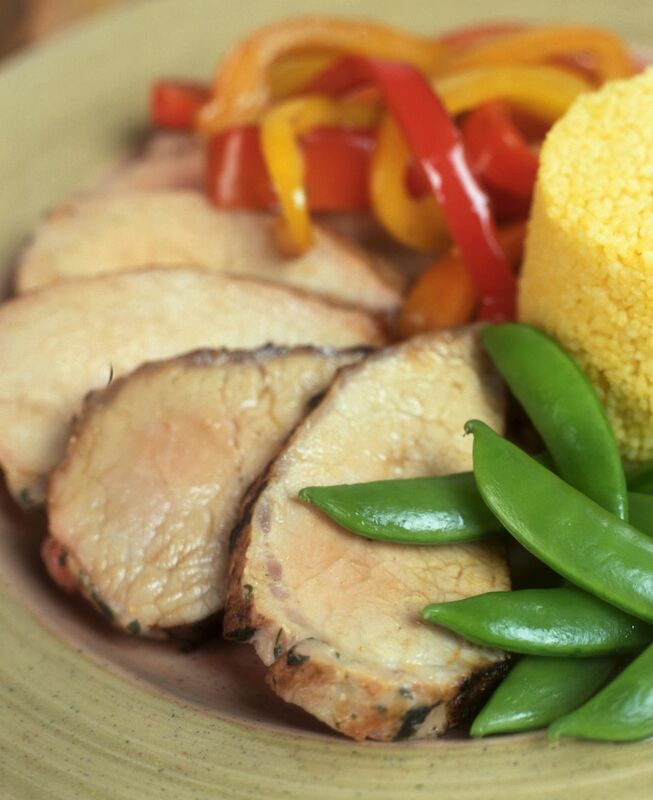 This is a simple, delicious recipe for grilled pork loin. The Mediterranean-inspired marinade is sure to make this a spectacular dish for any occasion. Place slices of pork into a shallow glass dish. Combine marinade ingredients and pour mixture over pork. Cover dish with plastic wrap and place in refrigerator for 4 to 6 hours. Remove pork and discard marinade. Place pork on grill and cook for 8 to 10 minutes on each side with an internal temperature of 155 to 160 degrees F for well done. When pork is fully cooked, remove from grill, let meat rest for 5 to 10 minutes before serving.